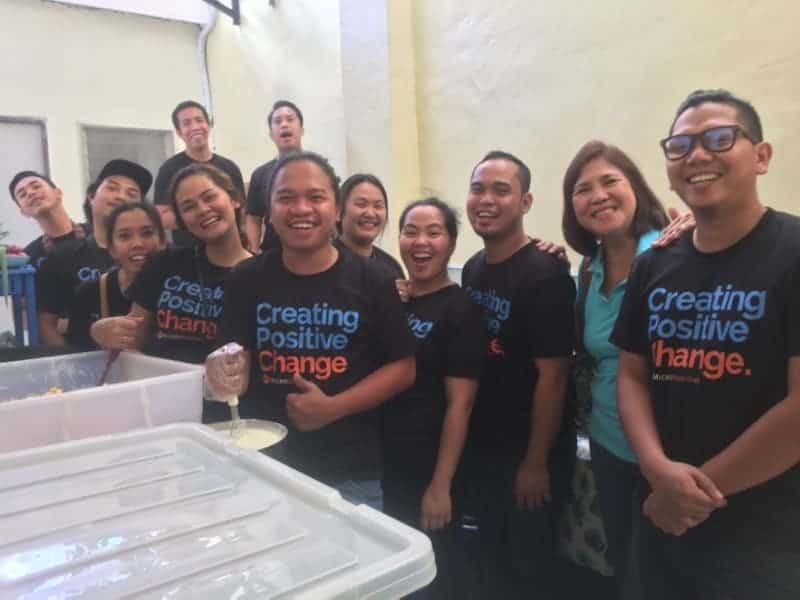 Rise Above president, Flemming Hansen and Rise Above treasurer, Marie, with the Manila team of MicroSourcing Philippines Inc.
Just this week, MicroSourcing Philippines Incorporation contacted us to hold an outreach and food sharing program with 300 children. Wow! And we are more than happy to welcome them and the children at the Community Center. The day started with the preparation of the food and the venue. Volunteers from MicroSourcing took charge of the food preparation while Adi, our Community Center leader, together with some of the children from the community prepared the chairs and tables. 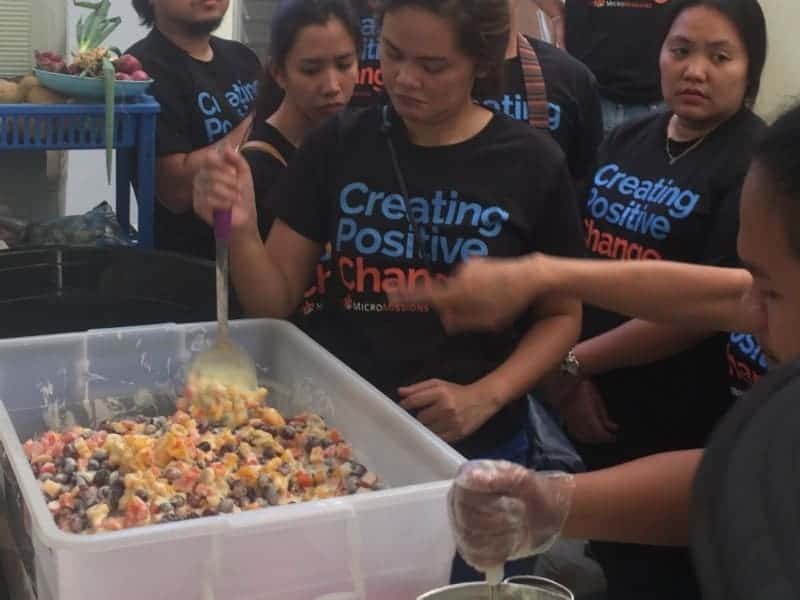 The team cooked rice, vegetable soup, and pork adobo for 300 kids. They also prepared juice for drinks and fruit salad in yogurt for the dessert. The kids loved it! 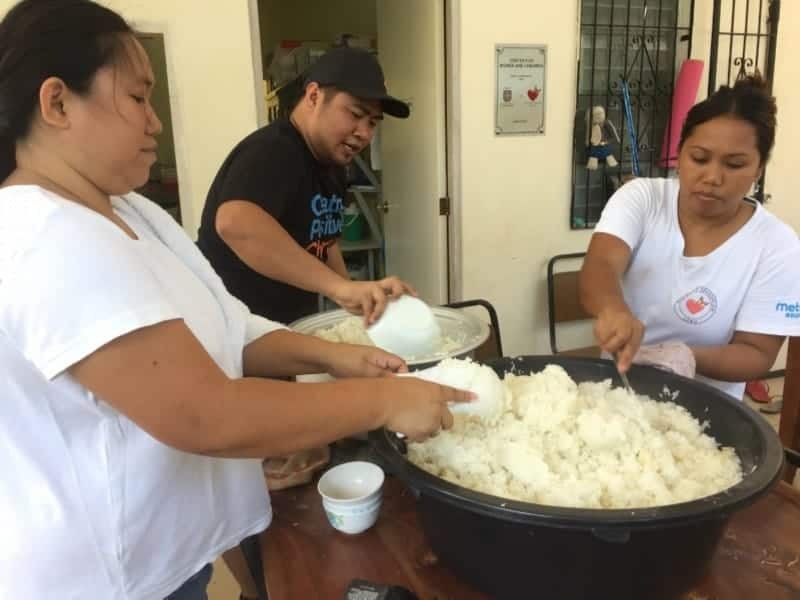 At 11:30 in the morning, the kids were let in the Community center and as soon as they’re seated, the volunteers started distributing the foods to their tables. Talk about service! You can see how the children were so excited. These are kids who can barely eat one full meal a day. So having this delicious meal is already a privilege for them, so much more being served like this. 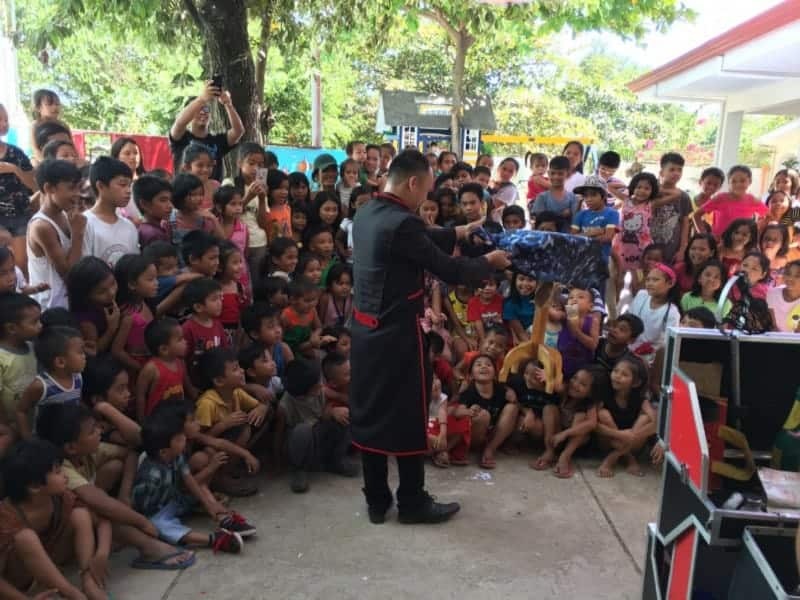 Not long after, magicians came to perform in front of the kids. The kids were ecstatic. 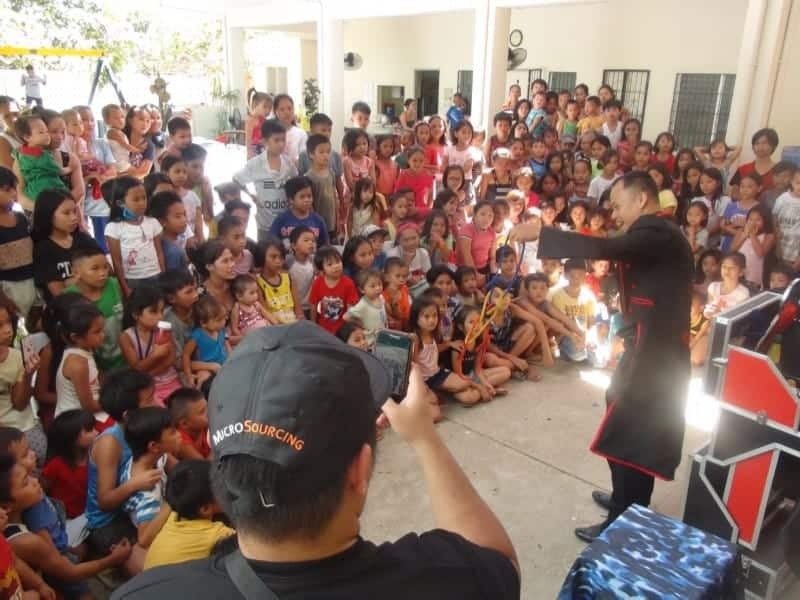 They pressed in just to see the magician’s performance which is already an extraordinary experience for these kids. 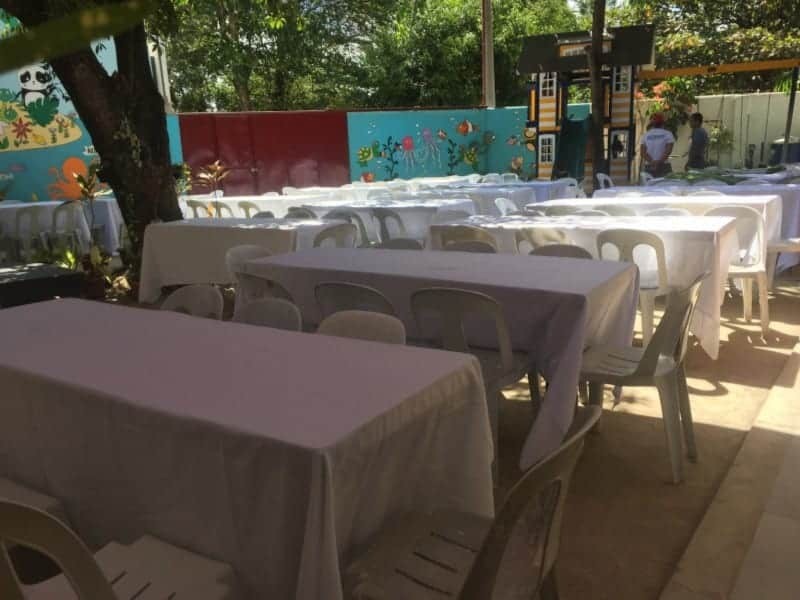 We want to thank MicroSourcing Philippines for choosing to do their program with us and for choosing to make our kids the beneficiaries for their social responsibility program. 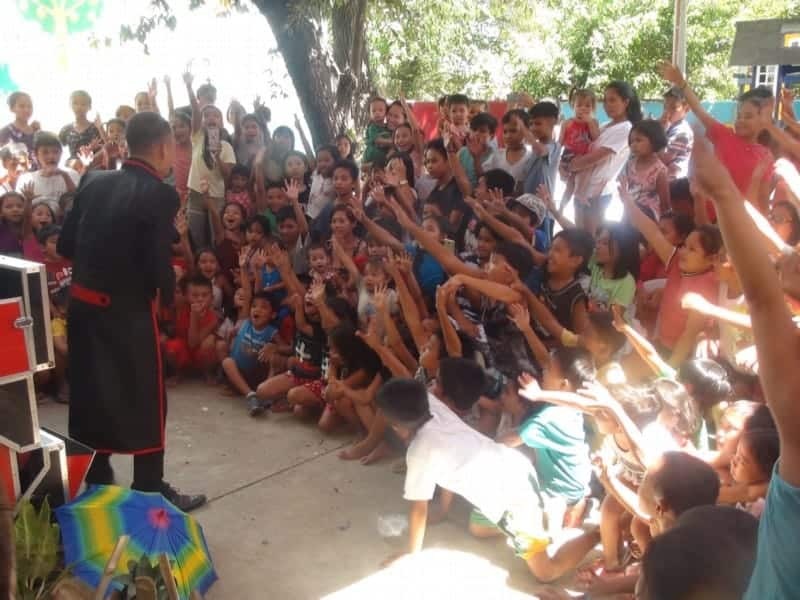 In the midst of all the circumstances surrounding the lives of these children, giving them one positive and happy memory is already a big difference for them.